- Michael and Teresa G.
“Thank you for being so patient with us! I am so glad our realtor recommended you to us. Thank you so much for everything! 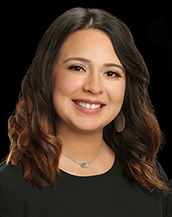 Whether you are a first time homebuyer or an experienced buyer Adriana is ready to leverage her 10 years of experience in the financial and mortgage industry to meet your financial goals. Adriana believes that the process of attaining a mortgage is much more than just a transaction, it’s about building long lasting relationships with her clients. Her passion for helping others reflects with each and every client and always being available to answer questions throughout the process. Adriana understands that each clients’ financial situation is different and thoroughly takes that into account when determining what’s best her clients. Adriana was born and raised in the Austin area but now calls San Antonio home with her two daughters Kaylie and Ava. 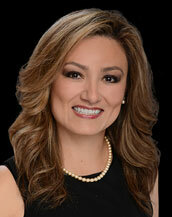 She is involved in the community as a CASA advocate and a member of the Junior League of San Antonio. 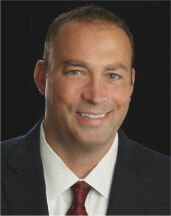 Chad began his career as a loan officer after graduating from the University of Wisconsin in 2000. 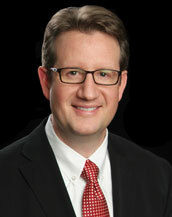 In 2006, he and his family decided to move to San Antonio, Texas and has been lending in San Antonio ever since. With 16 years of originating experience, Chad has a broad knowledge of all loan types, Conventional, FHA, VA, USDA, and some portfolio products as well. Whether it be a new home, or an investment property for income growth, Chad prides himself on customer service and always makes sure that the client’s needs come first. 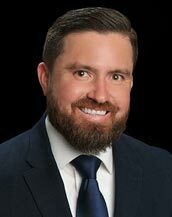 Chad’s knowledge and performance has also gained the attention of new construction builders throughout Texas, appointing him as their preferred lender for prospective buyers. Chad credits his 3 years in the Army as a major contributor to his strong work ethic. You can trust that when your loan is in his hands, it will get done. 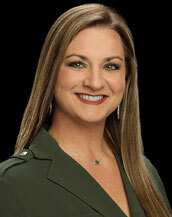 Christi Hines is highly dedicated and successful mortgage industry professional. She entered the mortgage industry in 1996. She became a Loan Officerin 2004 and her experience is testimony to her commitment to client satisfaction. 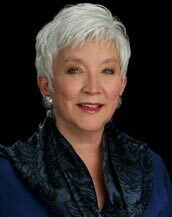 Her comprehensive knowledge of available mortgage products includes Conventional, FHA, VA, USDA, Texas Vet, Jumbo and Construction Loans. She prides herself on customer service and will make the experience of purchasing or refinancing a home an easy and educational process. When she is not helping her clients, she is spending time with her husband and their two beautiful girls. Daryl Mitchell is a father of three. He loves to travel, attend sporting events and enjoys live music and fine dining. He is a true believer in giving back to the community and paying it forward. He does this for himself, but is also a huge supporter to his business partners in their own community involvement. What makes Daryl different is his eagerness to attend to his clients, quick responsiveness, and love for delivery of great service! Come meet Daryl and his team. Easton Crafts has been in the mortgage industry since 1995 and in that time has closed thousands of loan transactions of all types including Conventional, FHA, VA, USDA, Texas Vet, Jumbo and Construction Loans. He has a Bachelor of Business Administration in Finance from The University of Texas at San Antonio with a concentration in Real Estate Finance, Commercial Real Estate and Mortgage lending. He has concentrated his efforts into building the Directions Equity name with a reverence among its peers and a positive acknowledgment by fellow Texans. With nearly 10 years of sales experience. Hector has transitioned his exceptional customer service to the mortgage industry. His experience in New Home Sales has given him the knowledge on what it takes to get deals done on both the real estate and mortgage side. As a family man, he prides himself on helping other families achieve their financial dreams of owning a home. His genuine care for his clients has given him the patience to make every transaction go as smooth as possible. A native of San Antonio, John attended Alamo Heights High School and Trinity University. He is also an eight year infantry veteran of the United States Marine Corps. John believes that establishing clients’ trust is paramount to successful business relationships. 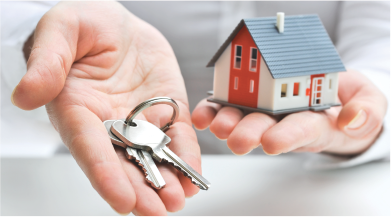 As your trusted mortgage advisor since 2005, he understands that obtaining a mortgage is one ofthe largest and most important decisions in most people’s lifetime. With a wide array of mortgage products available today, John feels that it is crucial that his clients have a firm understanding of their options so they can make an educated and informed decision. John’s core principle of exemplary customer service has propelled him to his status as one of the top ranking loan officers in San Antonio. 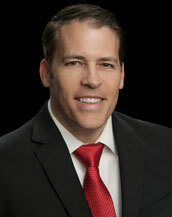 Marc began his career in the mortgage industry in 1998 after graduating from Southwest Texas State University. His knowledge and expertise will guide you through your mortgage experience and prepare you for one of the largest transactions most of us will ever experience in our lifetime. While One-Time closes on new construction have become his specialty, he is well versed in VA, FHA, and Conventional as well. Marshall Moody is a San Antonio native who grew up in a military family and has lived most of his life in Texas. 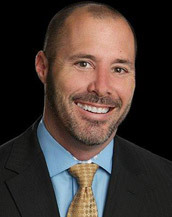 He utilizes his 20+ years’ experience in the industry and his strong desire to help others in tandem to provide the best lending options for each individual client he has the privilege to serve. Whether you are buying your first home, relocating, moving up to a new home for you, building a rental property portfolio, building your custom dream home, investing in a ranch, or any number of other goals, Marshall is here to walk you through the process, answer all questions you may have, and provide industry leading service. He has also been awarded the Five Star Professional Award for Customer Service for the last 8 years, consecutively, in addition to serving on local and national delegate boards for industry organizations. Please give him a call to experience market leading customer service and a smooth and efficient process. Michael is a native of San Antonio. He attended The University of Texas at Austin where he achieved a Bachelor of Business Administration. 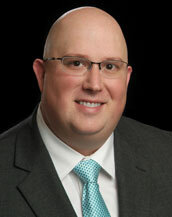 He embarked on his mortgage career as a loan officer in 2002. In 2006, he ventured out on his own and founded Frontier Mortgage, a mortgage brokerage that he championed through 2015. In 2016, Michael and his Frontier Team joined Directions Equity. Michael has built his business by providing un-paralleled personal service and having true passion for assisting his clients. Joining Directions allowed him to expand on that commitment with the availability of in-house underwriting and closing departments. Michael takes a consultative approach to each loan to make sure his clients are getting the best loan program for their individual scenario. He and his team are ready to help you and your family through the lending process! 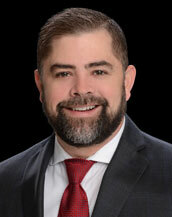 Noe Gonzalez Jr is a San Antonio native who has been dedicated to the mortgage industry since 2001. 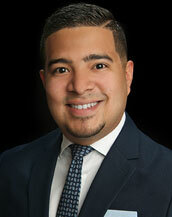 Noe began his career as a Community Loan Underwriter for one of the largest Savings & Loan Banks in the world. In 2006, he took his wealth of knowledge and made the transition to become a loan originator. Noe’s 15 years of experience in the industry coupled with his passion for customer service have been the keys to building his referral based clientele. 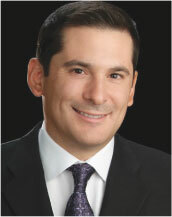 Noe’s utilizes his experience to structure financing to best suit his client’s needs and financial goals. He looks forward to working with you and your family to make the loan process a seamless and enjoyable experience! With nearly 10 years of experience, Senior Loan Officer Norma Heard, takes pride in assisting her clients achieve the dream of home ownership. As a native of Puebla, Mexico, Norma has called Texas home for the last 20 years and earned her BBA from Incarnate Word University in 2001. Norma’s years of experience has helped her obtain an expansive knowledge of all mortgage products available today. Her attention to detail is impeccable and exceeding client expectations is the foundation of her business. 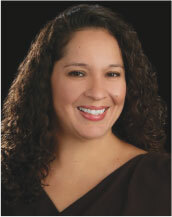 Contact Norma today and see why she is recognized by her peers as a top loan officer. Her goal is to be your loan officer for life. Priscilla has been dedicated to the mortgage industry for 6 years and prides herself on providing an exceptional experience to each of her clients. With the ability to adapt to new guidelines and mortgage products, it allows her to provide great customer service not only to her clients, but to her referral partners as well. She is knowledgeable in FHA, VA, Conventional, Usda, Jumbo Loans, and New Construction one time close. Priscilla loves a good book and a spontaneous adventure. Outside of Mortgage she is a loving Wife and mother to two little girls. 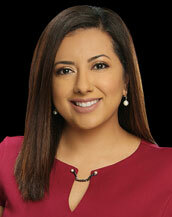 With her expertise, she will provide you with the best loan program for your financial needs! A native of San Antonio, Sean attended Douglas MacArthur High School and Texas A&M University. He has called New Braunfels, TX home since 2004. Sean started out in the mortgage industry in 2008 as a processor/closer for a mortgage broker, quickly learning the loan process from start to finish. Since becoming a Loan Originator in 2010, Sean has used his knowledge of the loan process and loan products to build a strong referral based clientele. His level of customer service and personal touch on each transaction is unmatched, and strives for a smooth and seamless loan process. Buying or refinancing a home is most likely the largest transaction someone will make in their lifetime. Sean is committed to make sure that the client is not only satisfied with the process but understands the process as well. 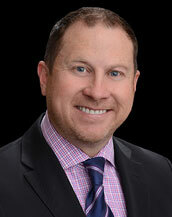 He looks forward to working with you and your family on your next Real Estate endeavor! Sean’s wife, Bess, is a native of Uvalde, TX and they have two daughters, Emma Lou and Jacy Kay.